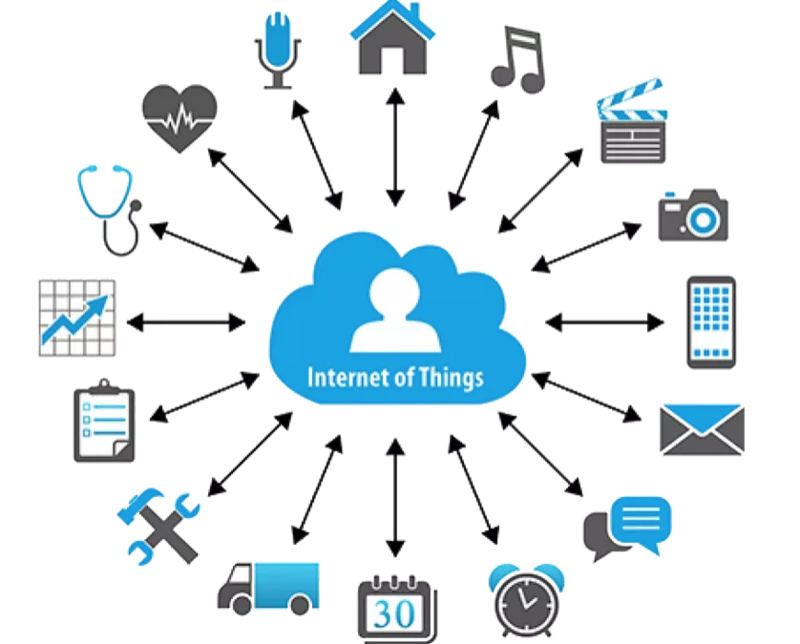 IoT or the internet of things is the wireless interlinking of internet-enabled devices, and it’s becoming clear that many businesses are seeing this as the end goal. IoT is becoming a consumer mainstay. The rise and popularity of smart home products such as lights, switches and even door locks are all integrated with friendly user interfaces such as Echo Dot or apps all interconnected for ease of use. 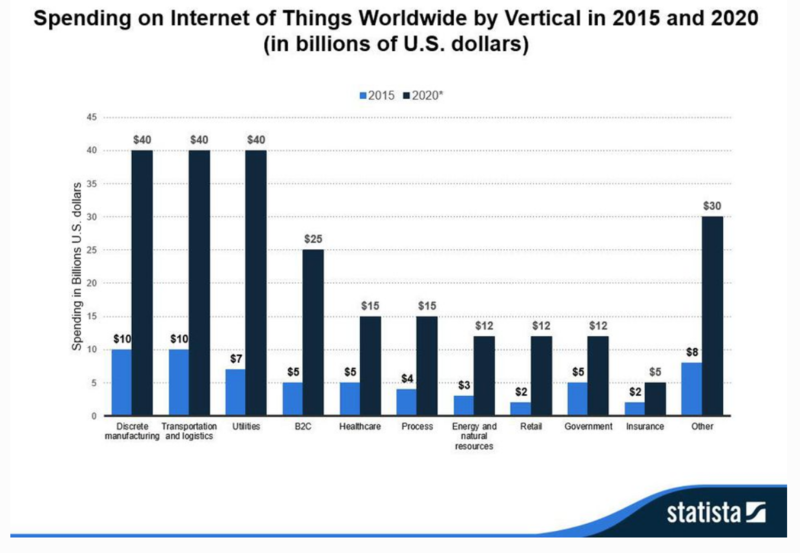 Currently, IoT spending rates are increasing spectacularly, tripling if not quadrupling over the span of five years across most industries. This increase is the realization of how automation technology can bring about a massive increase in efficiency. 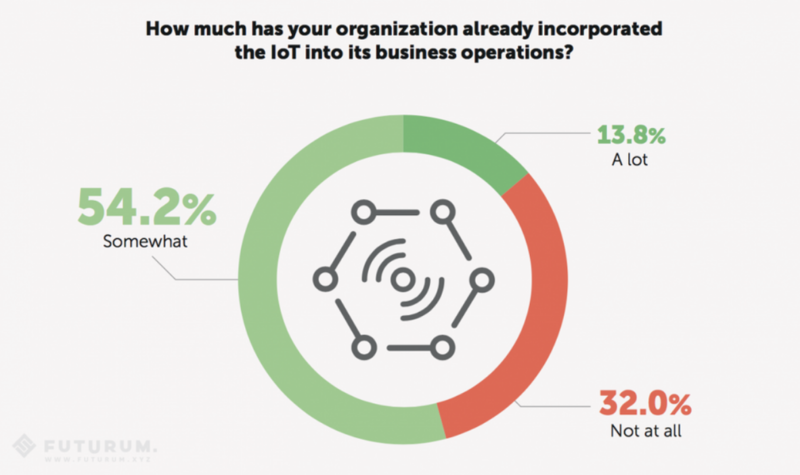 So much so that 2/3 companies have adopted some form of IoT in their own business. As an example from an article from Harvard Business Review, Harley-Davidson assembled people from both IT and operations, created a unified team, integrated multiple systems into a single enterprise network, consolidated islands of data, and created a fully IoT-enabled plant. This allowed the company to shrink a fixed 21-day production schedule for new orders down to just six hours, reduce operating costs by $200 million, improve production efficiency, and reduce downtime. Plus, build-to-order cycle times sped up by a factor of 25, allowing the company to respond to customer desires far more quickly and efficiently. 1. Harley Davidson located a pain point form their company which was their inability to appeal to customers desires as quickly and efficiently as they wanted. 2. The creation of a unified team of IT and operational professionals to design and implement an answer to their problems. While this is a large business, what can a small/medium business do? SMBs are in an awkward position where growth is essential, but resources are limited. Every employee wears multiple hats and because of this everyone time is scarce. Here are my Top 3 IoT solutions for SMBs. These examples can’t perfectly fit for all industries but are my preferences. Agriculture has always been one of the toughest industries and requires a tremendous amount of human interaction and effort. With the right sensors and setup things such as automated watering is a simple process. The funny thing is that this type of automation has been around for years. The best solution is the solution that fits your needs. Harley Davidson created a team of IT and operational professionals to solve a tremendous problem, so in my opinion, the best IoT solution is the call you make to your own IT service provider and if you don’t have one, get one.